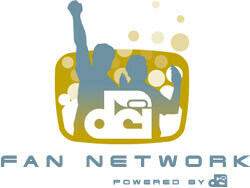 Drum corps fans have been abuzz about the new DCI Fan Network since it launched last month. Already more than 1,000 subscribers have been logging in to get the latest video and audio updates from their favorite corps, with new content posted every day. With the excitement of so many fans embracing the new site, Drum Corps International has been hard at work taking steps to make the Fan Network even better! How can you help? By submitting your ideas, suggestions and general feedback to help us improve the Fan Network to better serve you! "Thanks to all of the many drum corps fans who have embraced the new Fan Network," said David Glasgow, Bluecoats executive director and chairman of DCI's digital committee. "Our digital committee and many folks at DCI have put a lot of time and effort into this project, and it's great to see such positive feedback. With these responses we've already been able to make a lot of updates based specifically on the suggestions of subscribers." If you haven't logged into the Fan Network in the last few days, you'll be pleased to see some of the latest changes to the site's interface. Spotlight content re-sorted: Videos in the Spotlight section are now sorted by upload date, so you can see the most recent content right at the top of your window. More information right at your fingertips: Fans can now see what city the World Championship Finals were hosted in for each season, as well as a corps' score and placement for each year's performance. More download purchasing options: At a corps' discretion, fans can now buy individual sections of select performances. Can't live without those drum features? No problem! If you haven't checked out the Fan Network yet, you're missing daily videos from your favorite corps, news podcasts, and other content you can't get anywhere else. Subscribe now to get access to even more exclusive corps content from in and around upcoming DCI Summer Tour events. All for a low yearly price of $69! If you're a fan who has an idea to make the Fan Network even better, Drum Corps International wants to hear from you! Your feedback and ideas are welcome. Our ears are open—tell us what you think! Visit the Fan Network now.